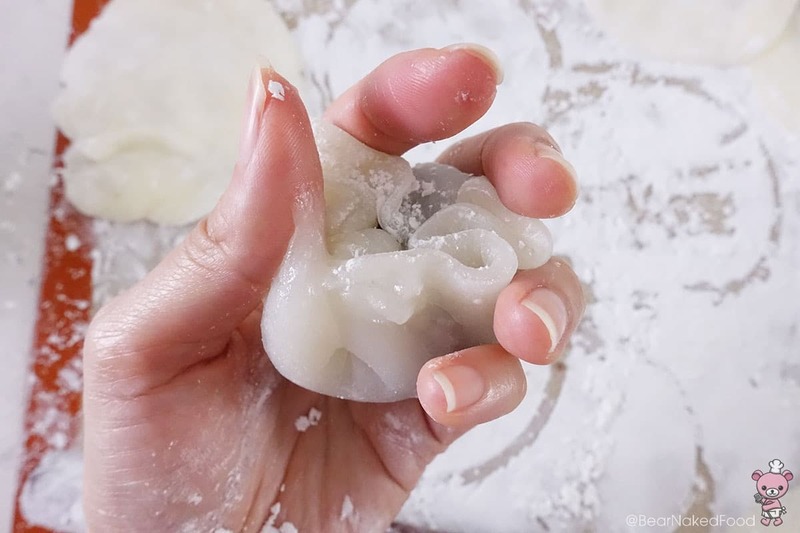 Making Daifuku Mochi has always been on my to-do list but somehow, I just did not get round to making it. Until now. 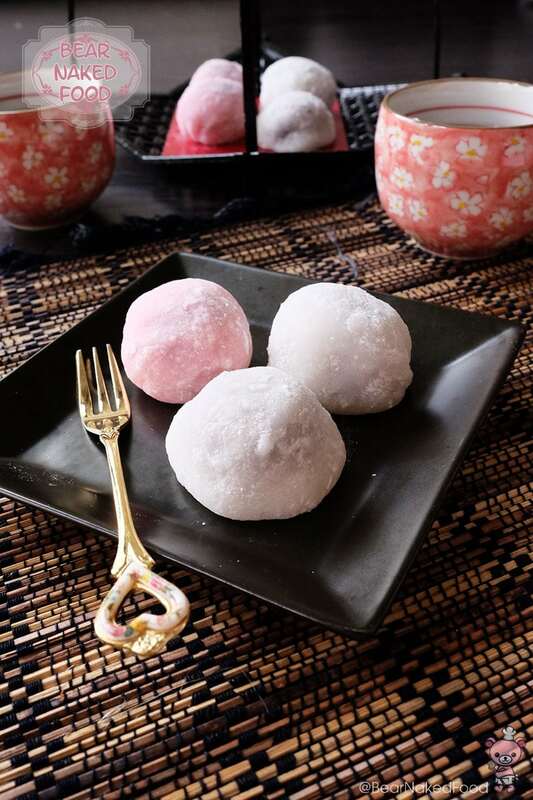 I’ve read horror stories about how people burnt their fingers/hands while making these sweet, soft rice balls as you have to knead and roll them into shape while they are still hot. 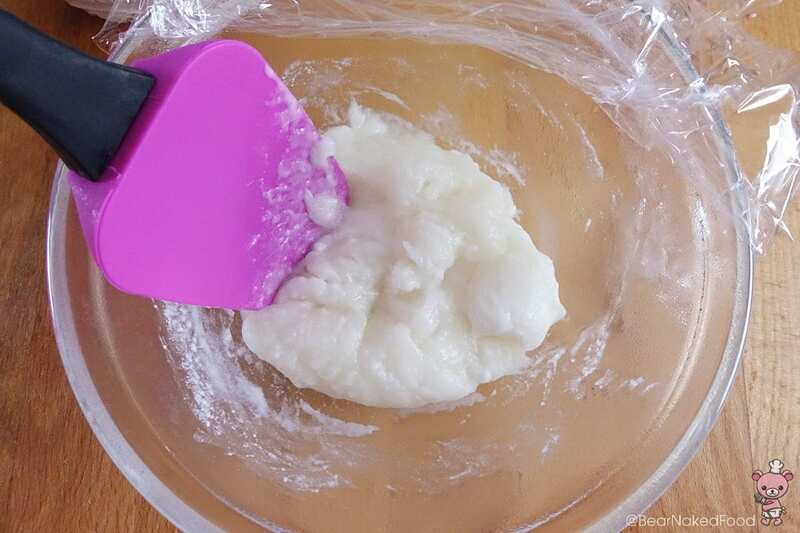 The rice dough will not stick when cooled. Maybe that was one (or the only) factor that was delaying my mochi-making journey. Perhaps I was already mentally bracing myself to get burnt, the process was actually not as bad as I’d imagined. Whew! 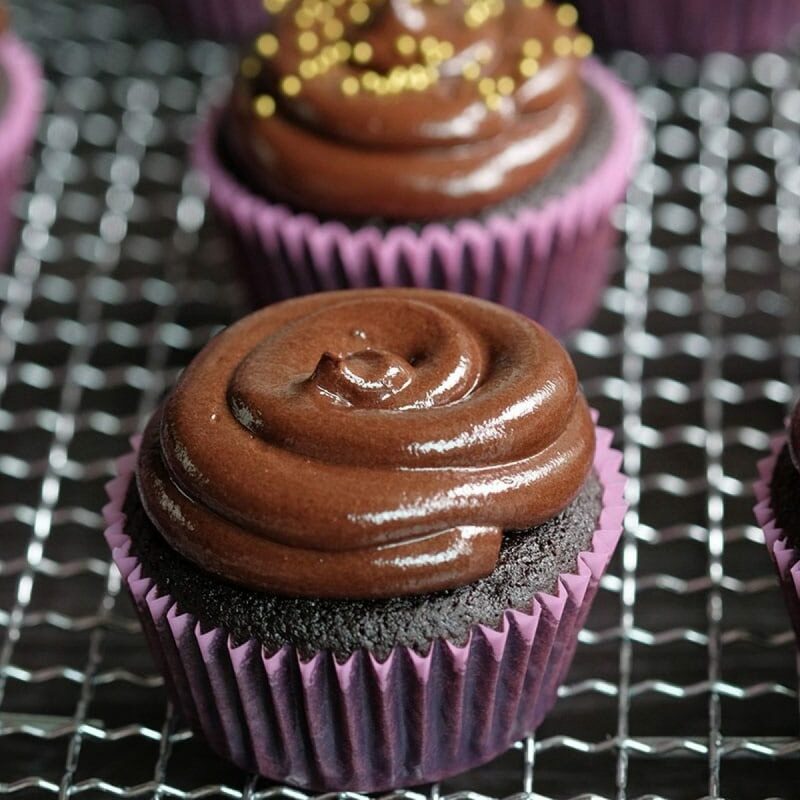 I figured the trick was to make them in 2 batches. 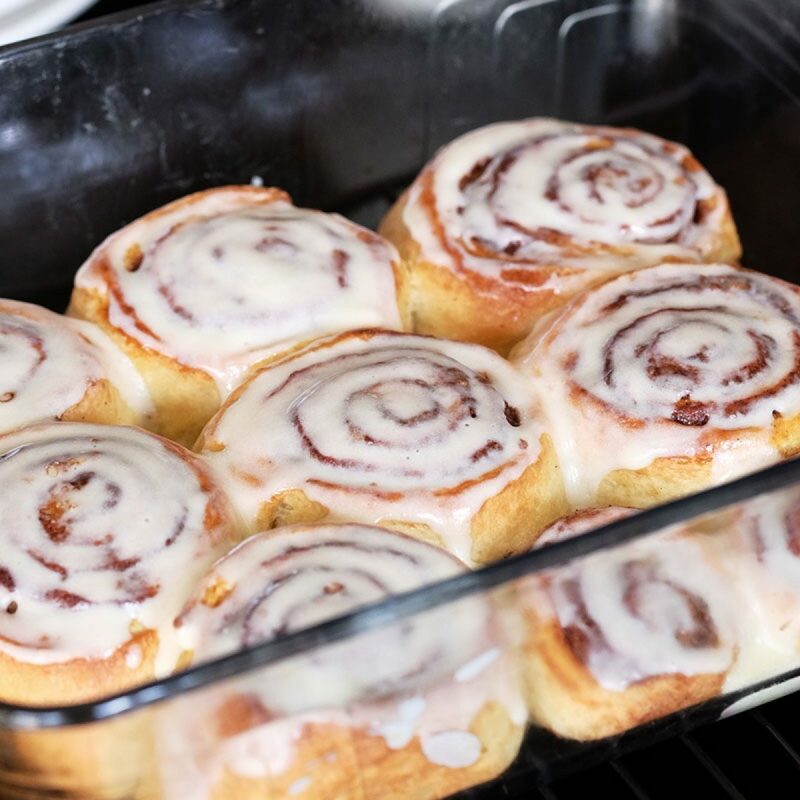 That way, I had enough time to roll them while they were still warm. 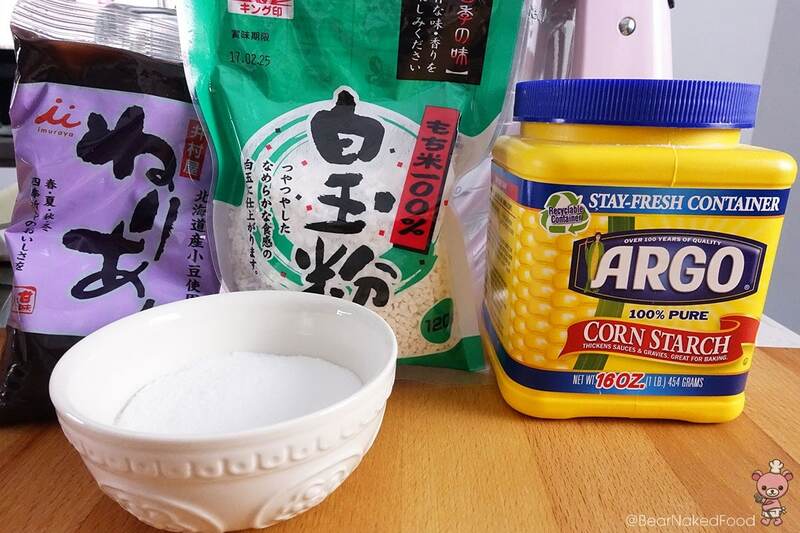 In many other recipes, you could use either Shiratama-ko or Joshinko (both are glutinous rice powder) to make the mochi. I’ve tested out both types and personally, prefer using Shiratama-ko. 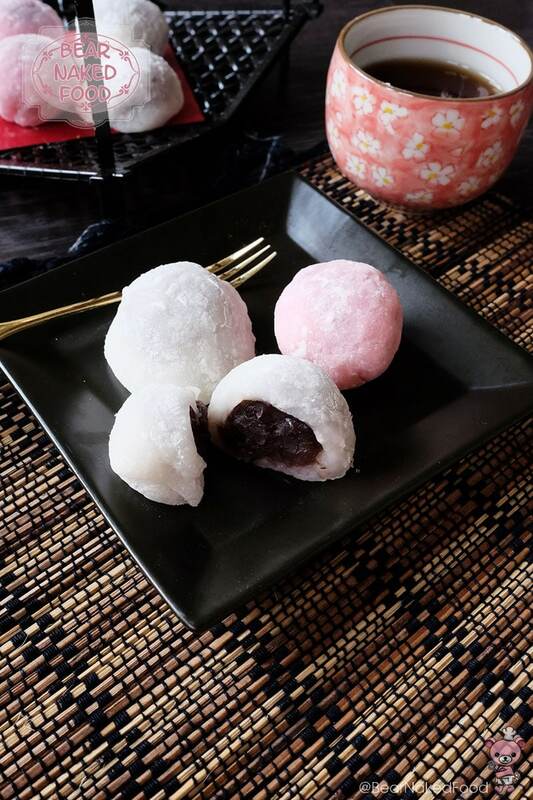 The texture is soft and chewy which is how I like my mochi to be. Joshinko yields a soft texture too but it was lacking in the chewiness department. 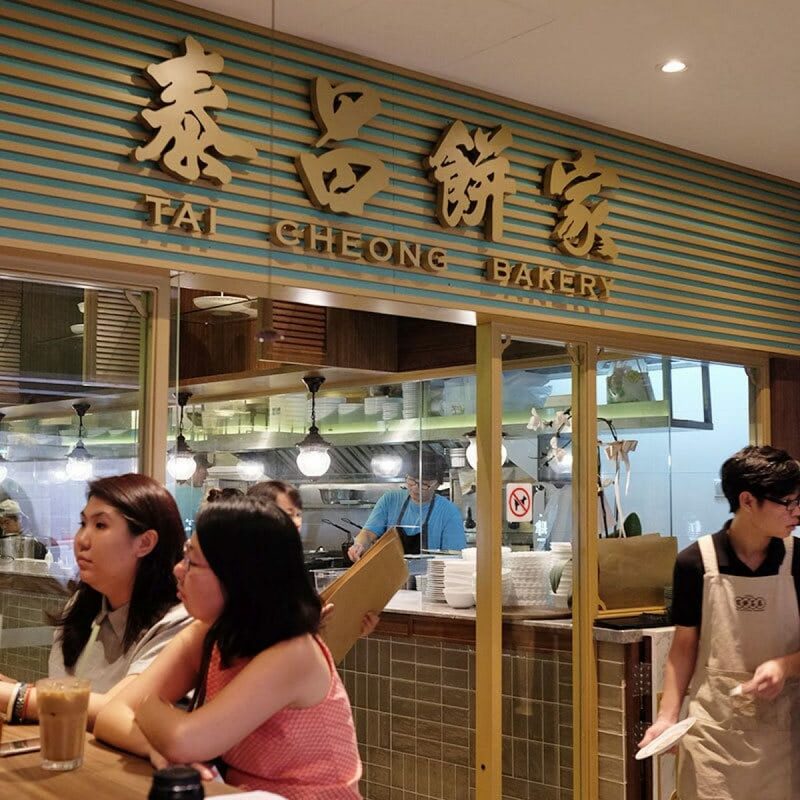 If you are residing in Singapore, you could find them in any Japanese supermarkets, Isetan or Meidi-ya. I’m using store-bought Hokkaido anko filling (red bean paste) which I got from Meidi-ya. You could definitely use any other brands or even make your own. 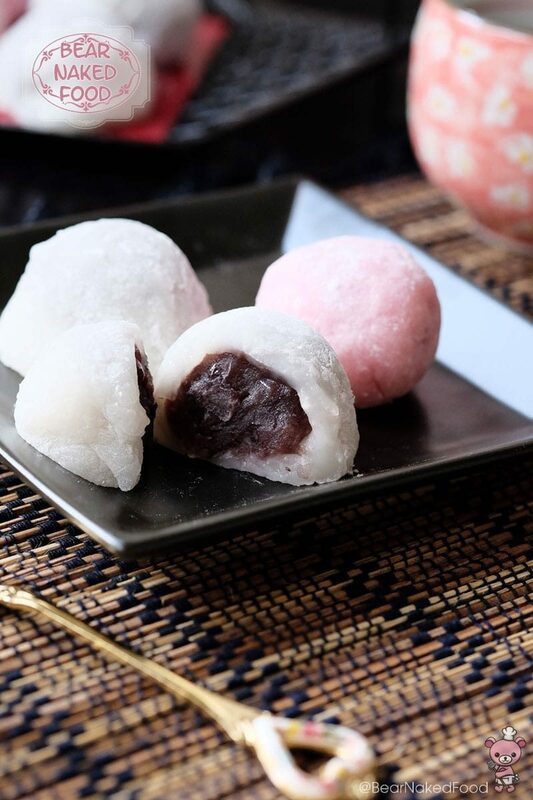 These daifuku mochi keep well in the fridge and stay soft and chewy to the last bite. 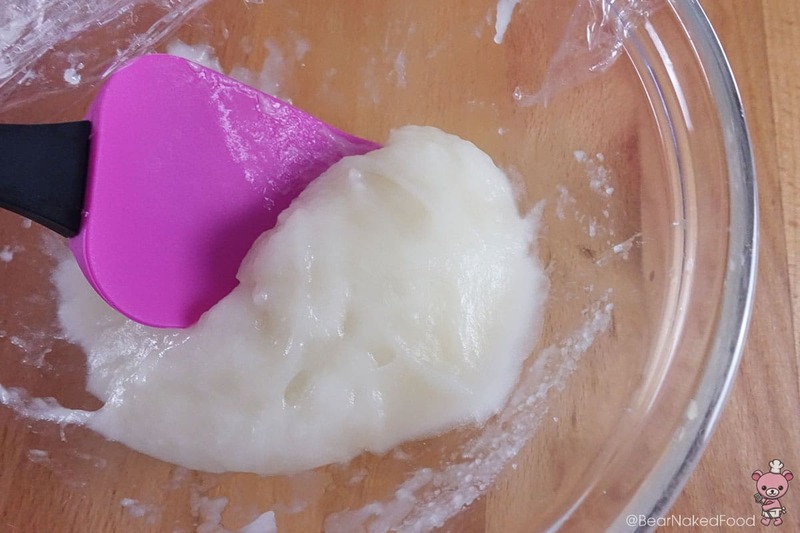 Dust your clean work station with generous amount of potato / corn starch. Reserve some more for later. It is important to prep your work station first before making the mocha as time is a crucial factor. 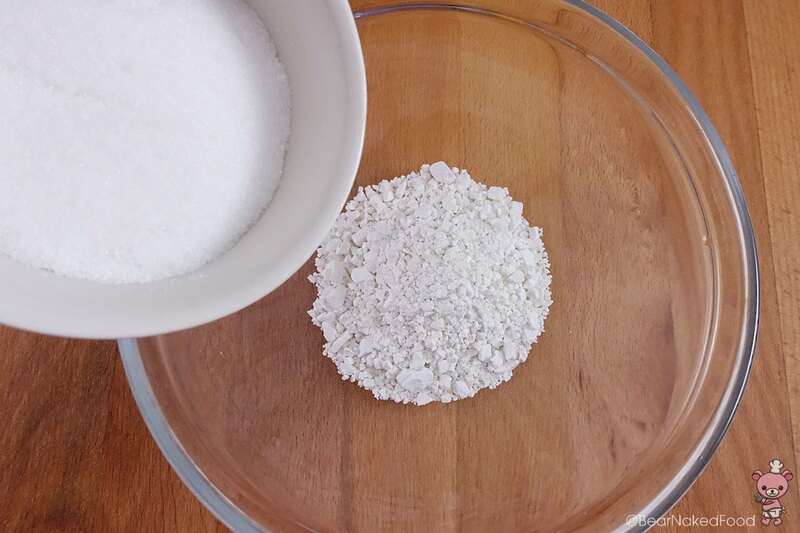 Using a heat resistant bowl, add the rice flour and sugar together, mix well. Pour in the water and stir well. *To make colored / flavoured mochi, you could add in a couple drops of food coloring or flavouring agent together with the water and mix well. Cover the bowl lightly with a cling wrap and microwave on high for about 1 min. Stir with a rubber spatula and cook for another 1 min. The dough should be translucent. Second round of cooking. This is the texture you should be looking for. 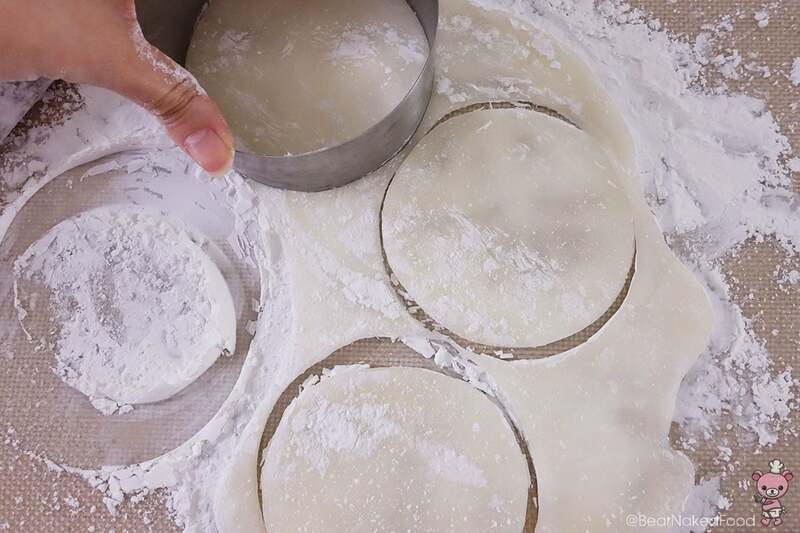 Quickly transfer the hot mochi onto the floured surface. Be careful not to burn yourself. 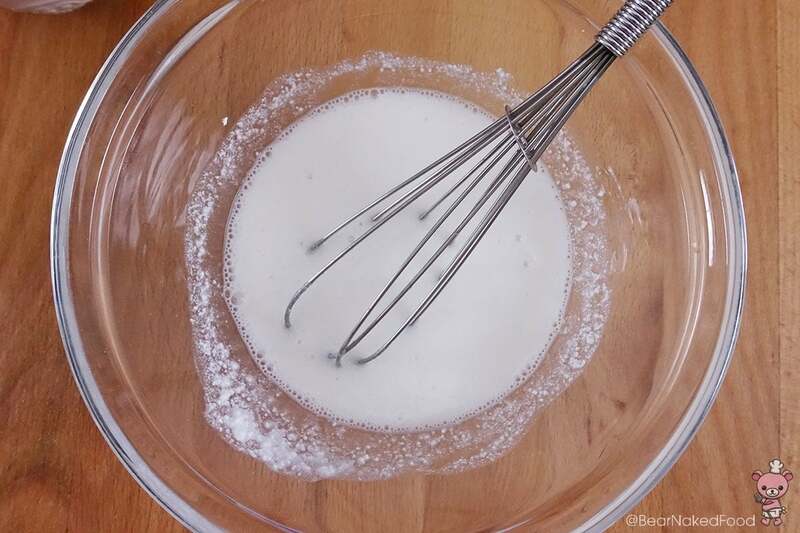 Dust the top with more corn starch and also your hands. 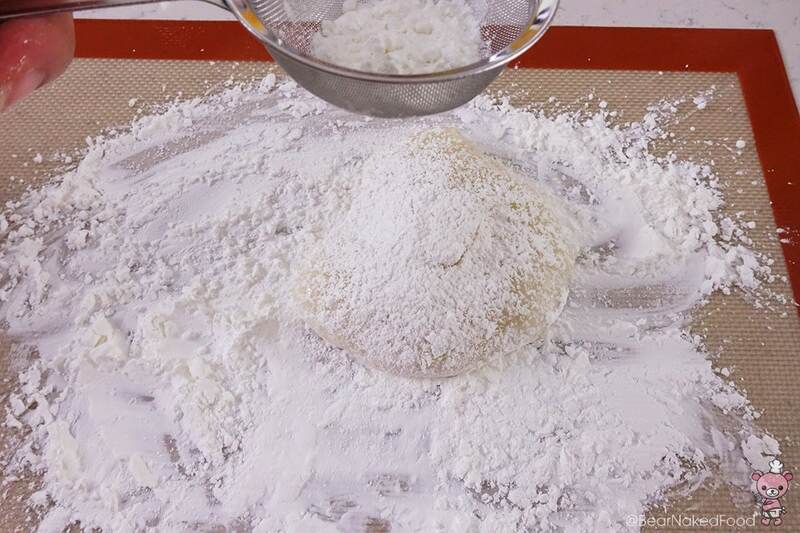 Roll out the mochi with a rolling pin (remember to dust the rolling pin too) and divide into 12 portions. 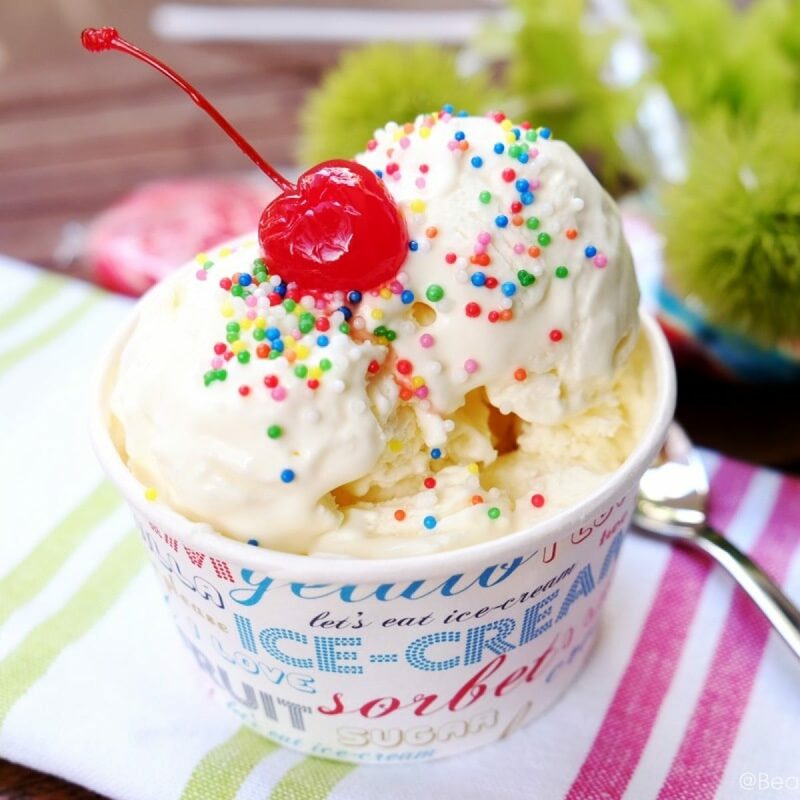 You could use a scissors to cut them out or a large cookie cutter. 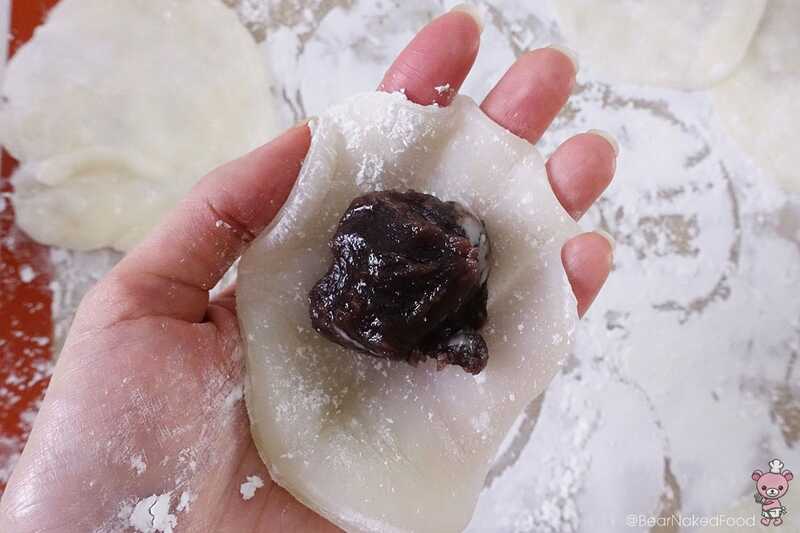 Put a piece of anko filling onto a mochi and use your fingers to pinch the edges together. 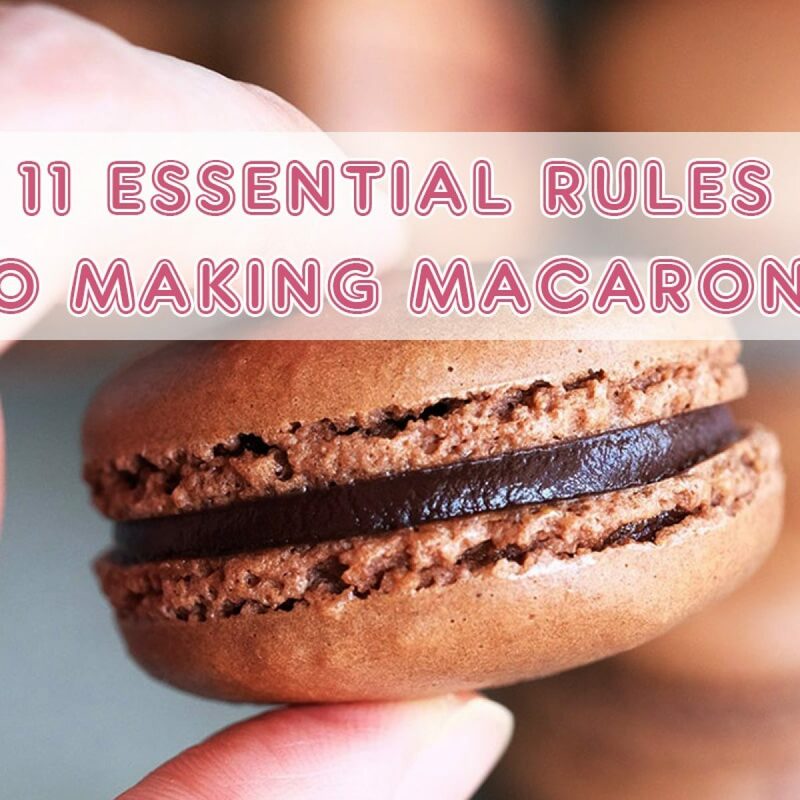 Work quickly as the mochi will not stick once it is cooled. Repeat same process until all mochi are used up. 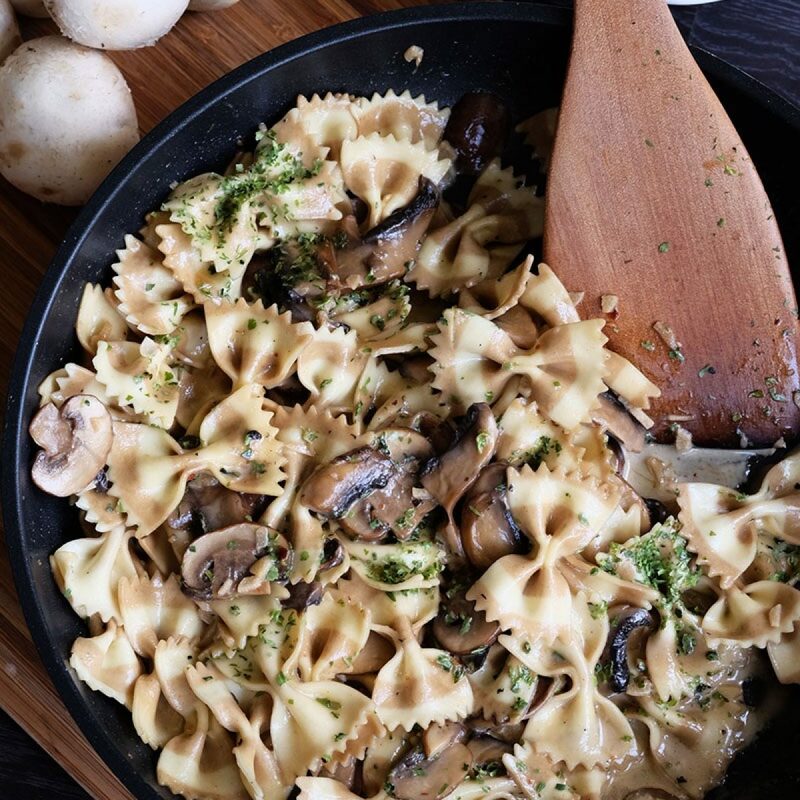 Store at room temperature or in the fridge for up to 2 days. 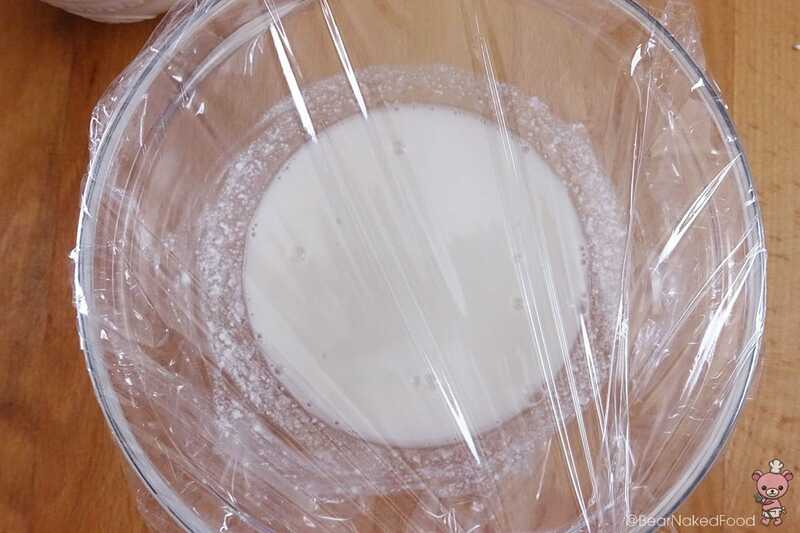 Cover the bowl lightly with a cling wrap and microwave on high for about 1 min. Stir with a rubber spatula and cook for another 1 min. The dough should be translucent. 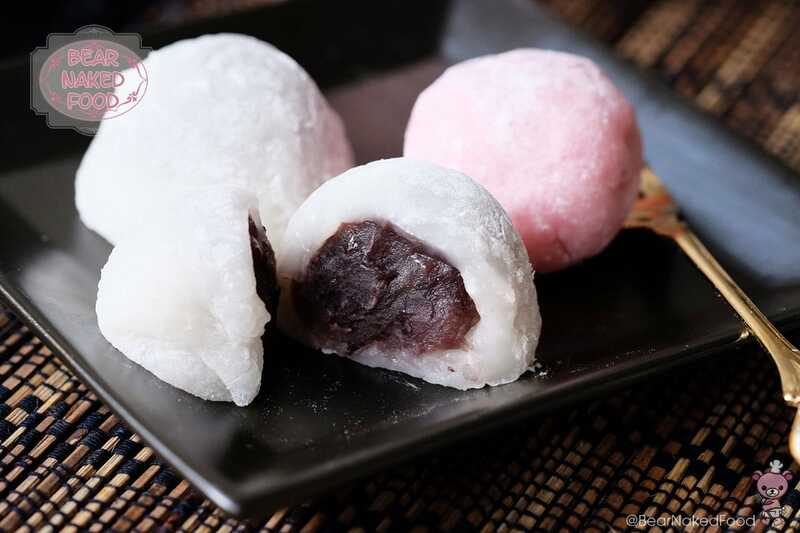 Put a piece of anko filling onto a mochi and use your fingers to pinch the edges together. 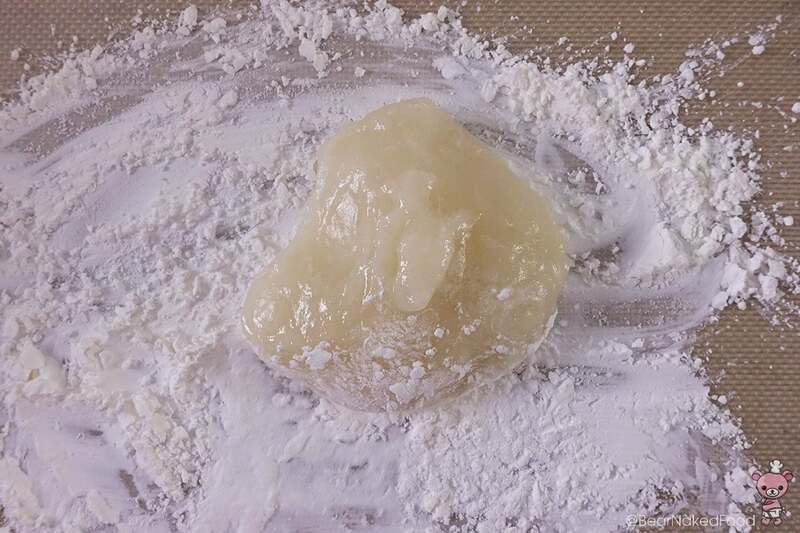 Work quickly as the mochi will not stick once it is cooled.